Extending your home is an exciting and potentially value-adding project, but it can also be full of practical and administrative hurdles. From drafting plans to sourcing builders, you’ll be surprised at how much time everything can take if you take your eye off the ball. However, the one thing that is guaranteed to slow your momentum is waiting for your planning permission or a permitted development certificate application. This will take 8-10 weeks, and we advise you not to start building without it. If you do, you’ll be legally obliged to reverse all of your work at your own expense. Now for the good news: because this comes at the very start of the building process, you can get the ball rolling at any time. If you’re even loosely considering a conversion or development in the future, creating designs and submitting a planning application can help you to understand what is and isn’t possible for your home. Once permission has been granted, you typically have three years to begin work. That gives you plenty of time to decide if you actually want to build or not. Alternatively, you might discover that you want to sell your home with plans in place. There’s no better way to help buyers understand the potential value of your property, and many of our customers find this is the “secret sauce” in achieving a great asking price. Permitted development rights are a type of pre-approved planning permission that covers most extensions, loft conversions, the installation of solar panels, and plenty of other changes to your property. However, they don’t apply to flats, maisonettes or properties within certain designated areas. If your designs fall within permitted development rights you won’t need to apply for planning permission, but we do recommend that you apply for a lawful development certificate, which follows a similar process. This will prove the legality of your development when you come to sell your home. How do I know if my project needs planning permission? You can research the finer details of both planning permission and permitted development rights by heading over to the Planning Portal or checking our handy checklist here. Alternatively, you can book a free consultation call with our experts today. We’ll happily answer any questions you have about your home improvement project, and can let you know if you’ll need planning permission or not. 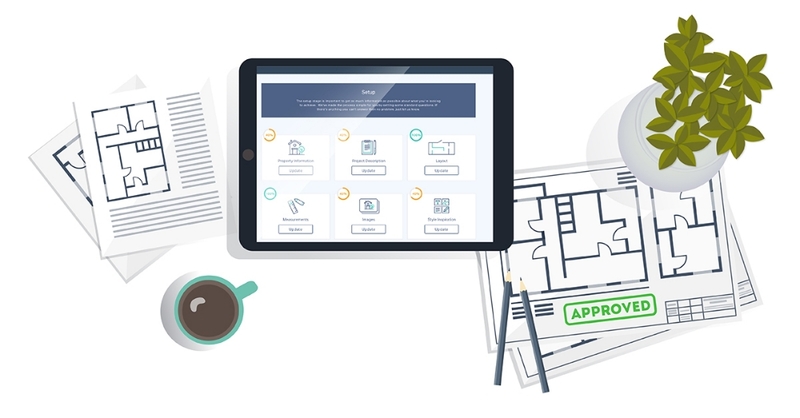 As the UK’s first online architectural practice, we’re the fastest and most affordable way to create everything you need to put in a successful planning application. We’ll even submit it on your behalf! We provide floor plans, elevations and 3D renders for all types of property, using high-tech processes and insight based on over 750 successful projects. For more ideas on what else you should be asking, read our guide to 5 questions you must ask your architect.